Not to be missed ! Our lavender tours start on June 4th 2018 with departure from Avignon ! 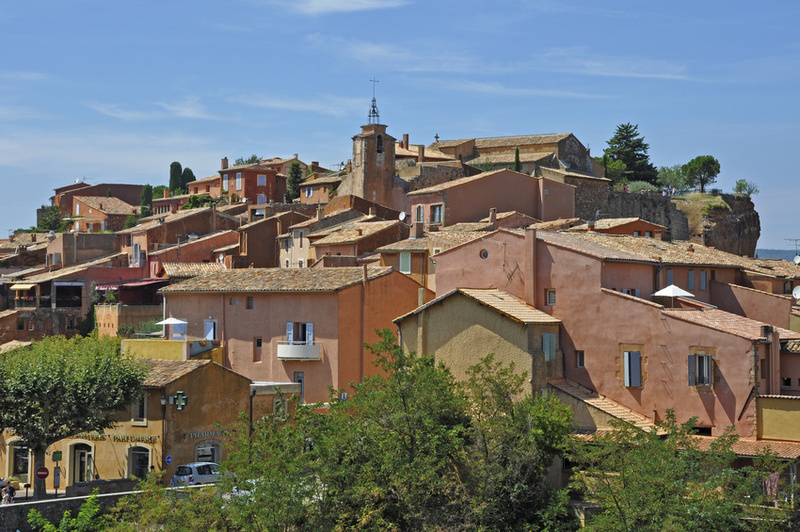 Enjoy a day through the picturesque roads of Provence to the breathtaking lavender fields of the Luberon and Sault ! We pick you up directly in front of your hotel in Avignon with our air conditionned and comfortable minibuses ! bloom. Drive along a picturesque road through lavender fields (photo stops). Photo stop in Gordes to take pictures of the hilltop village, listed as one of the most beautiful village in France. A photo stop will be also organized outside Sénanque Abbey : this Cistercian church is still ruled by monks. As there is a different level of altitude between Gordes / Roussillon and Sault, we visit one or the other sites depending on the flowering stage. Start your day by a tradition al open-air market in a traditionnal village of Provence and appreciate its stalls presenting a shimmering palette of fruits and vegetables and souvenirs. Drive along picturesque roads through wild lavender fields to Sault, lavender capital or Roussillon (depending on the flowering stage). Several photo stops to discover the flowers and walk throught the fields ! 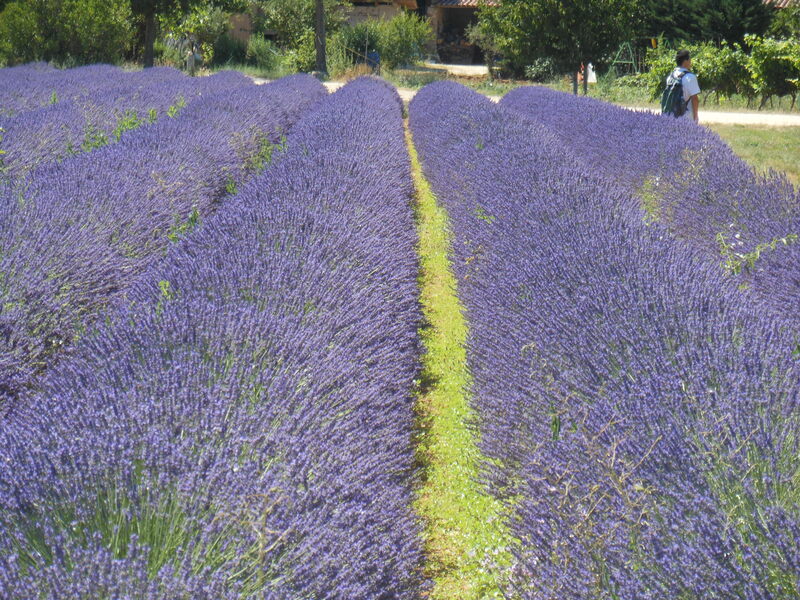 Free time in Sault or Roussillon to wander and do shopping in lavender shops. 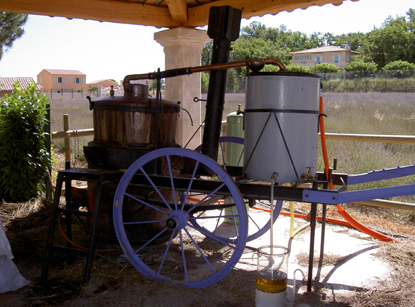 Lavender essential oil : video, exhibition and demonstration of distillation. Photo stop at Senanque abbey (from June 15th to July 15th only), Cistercian monument surrounded by wonderful lavender fields. Not to be missed ! Book your tour for August, 15th 2018 and enjoy the Lavender Festival in Sault: sickle cutting competition, parade of Provençal folklore groups, village craft, book fair, sale of products made from lavender. Drive to Aix-en-Provence, city of water and art. Discover a provencal market in the city center. Continuation to Valensole Plateau. Pass by picturesque roads lined with golden wheat and blue lavender prairies as far as the eye can see . Many photo stops included and free time to visit the village. On the way back, stop in L’Occitane cosmetics factory : visit the museum displaying the history of the trademark. Possibility to buy products at preferential rates. Free time for lunch (not included) on your own during the day. Dreaming of the perfect pictures for your wedding in Provence ? Many of you are dreaming of a wedding in Provence with the breathtaking landscapes and beautiful places for your pictures ! During my visit in Provence last year I was surprised by the beauty of the hilltop villages in the Luberon area and especially the lavender fields in front of the famous Senanque Abbey ! This place is just amazing ! I’m sure you all saw the episode with the beautiful lavender fields or sunflowers ! The opportunity to admire those amazing landscapes is coming closer and closer ! Beginning of June we will be able to join a tour for example to Valensole or the lavender fields of the Luberon thanks to different companies in Provence ! If you are lucky you will even have a Chinese speaking guide ! All the secrets of the« blue gold » flower ! During one of my tours through the Provence I had the opportunity to visit the Lavender museum ! The video at the beginning teaches you all about the essential oil and it is possible to listen to it in Chinese ! The best is at the end with the boutique offering a wide range of products including fine lavender. They explain you all the benefits of those products and my personal favourite is the pure essential oil that can be used at so many different ways ! As the Lavender museum is not easily reachable by public transportation means, the best way to visit it, is to book a minibus excursion. Provence Reservation includes the entrance ticket for this museum in several tours, have a look at their website and make your choice ! 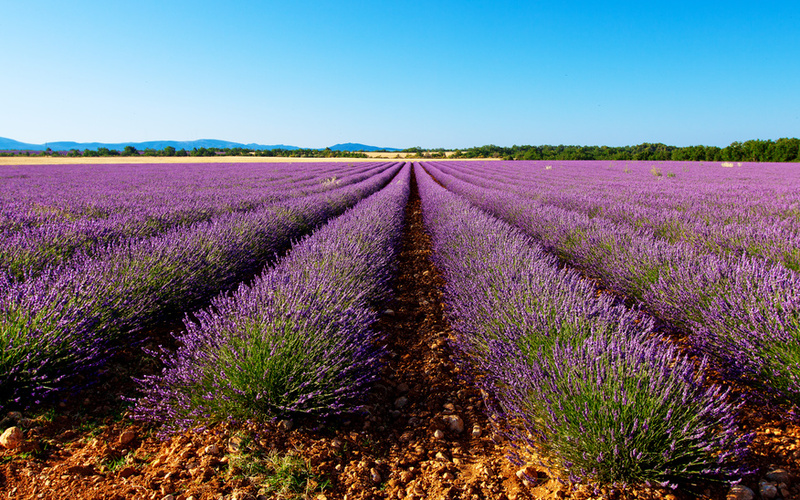 Lavender Tours from Avignon ! Not to be missed ! 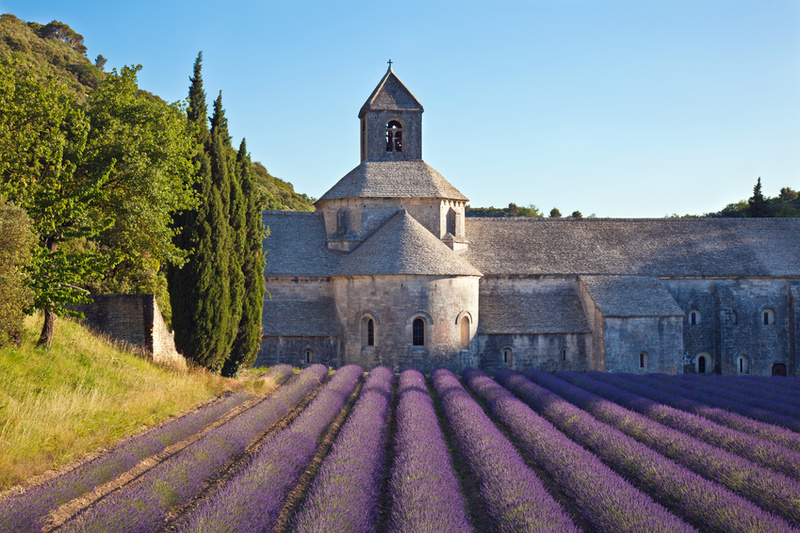 Our lavender tours start on June 5th 2016 with departure from Avignon ! 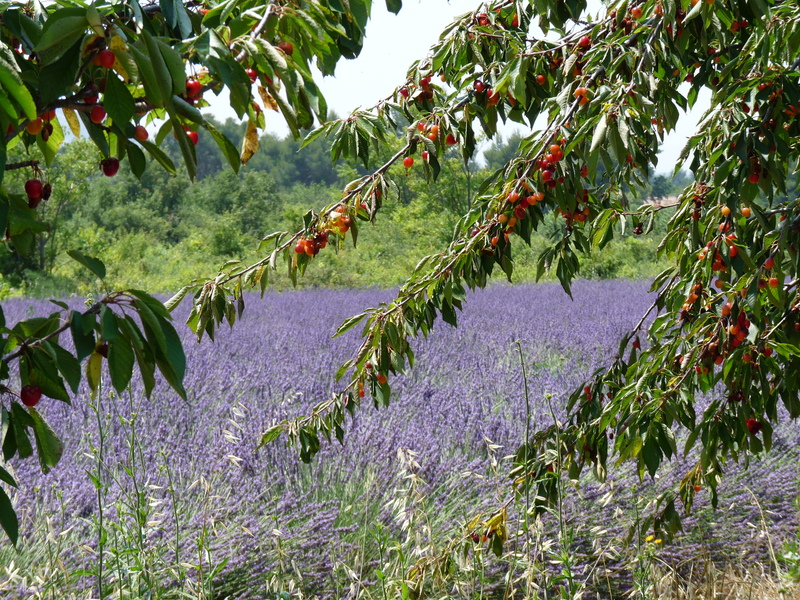 Free time in Sault or Roussillon or Gordes (depending on the flowering stage) to wander and discover lavender shops. other sites depending on the flowering stage. lavender essential oil is produced. Lavender essential oil (video, exhibition and shop). Not to be missed ! Book your tour for August, 15th 2016 and enjoy the Lavender Festival in Sault: sickle cutting competition, parade of Provençal folklore groups, village craft, book fair, sale of products made from lavender.